Safari guide and wildlife photographer Geoff Mayes and Scottish born Jamie Mactavish successfully guided their SPV class V8 rally raid car to a top twenty overall position and third in class on the just finished KCB Safari Rally. 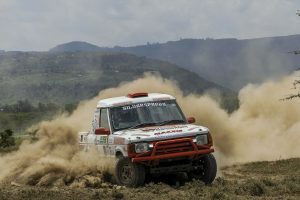 This years event saw crews face two and a half challenging days in the Great Rift Valley over terrain more suited to a Dakar event than a flat out motor rally. Attrition was high as cars succumbed to rocks, ruts, dust and even encounters with wild animals but through it all the Landrover continued. Mayes and Mactavish did have their own dramas, an unmarked ditch in the organisers notes saw the raid car flung into the trees at high speed, emerging with body damage but only minimal time loss. 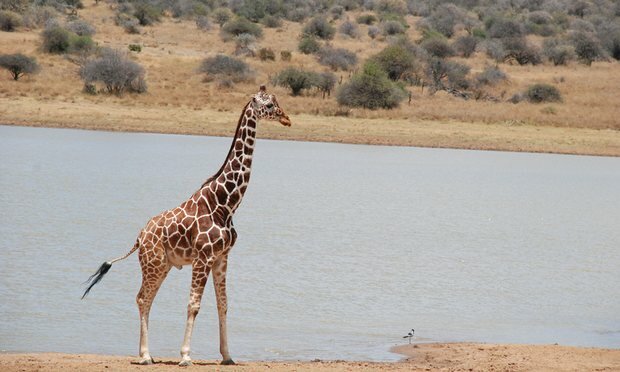 Mayes, “this is our second safari finish and probably more fun. We had the perfect car for the weekend but not being able to recce meant we had to be more cautious. The car was faultless and full credit must go to my team. To my sponsors, Purdy Arms, Punda Milias and Que Pasa, an enormous thank you! We bashed the suspension a lot and it never broke, which is testimony to Team Magic. We hit a lot of rocks, some whilst very sideways, and didn’t get a single puncture so thank you Maxxis Tyres. And finally a huge thank you to my title sponsors Silverspread Team Meru, without whose support I would never have even made the start of this prestigious event! This years KCB Safari Rally was won by reigning champions Jassi Chatthe and Gugu Panesar in a Mitsubishi Evo X. Only 21 cars finished from a start list of 42, with Mayes and Mactavish finishing 19th overall and 3rd in class.